In Nothing to Wear, Glynnis Fawkes lets her daughter explain why every single item of clothing she owns is totally unacceptable. 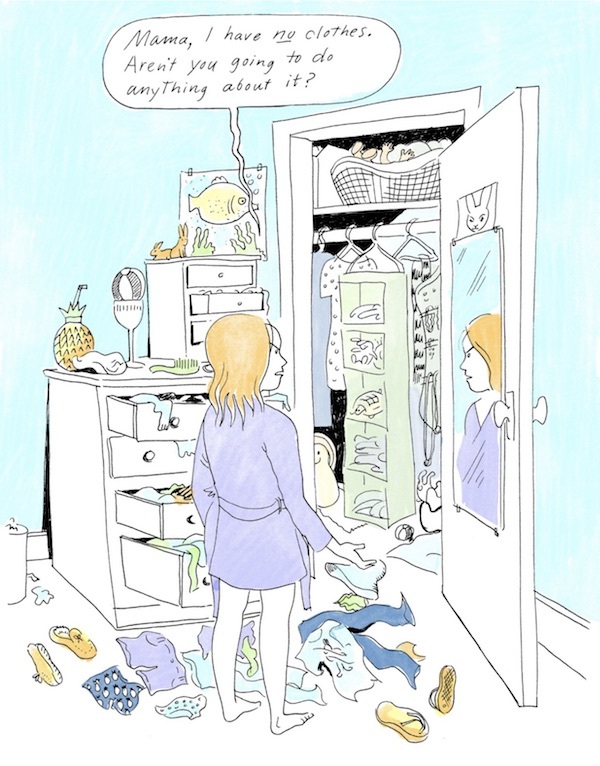 More lighthearted mother-daughter humor: At the New Yorker, Emily Flake lists Things I’m Afraid My Daughter Will Be Doing in 2026. 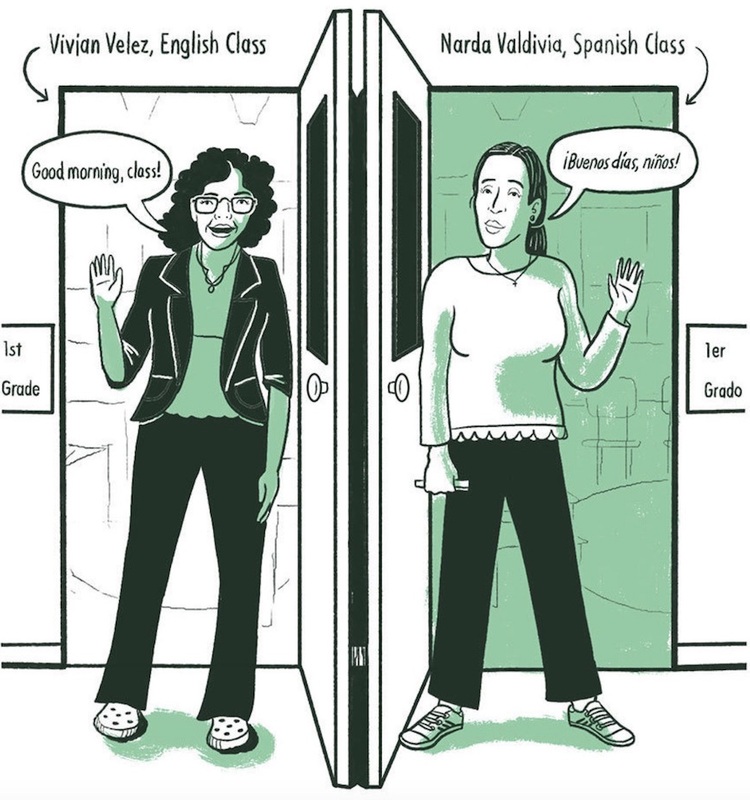 In I Am Learning Inglés: A Dual-Language Comic, LA Johnson pays a visit to a dual-language school, where students from a variety of different backgrounds learn some lessons in Spanish and some in English. 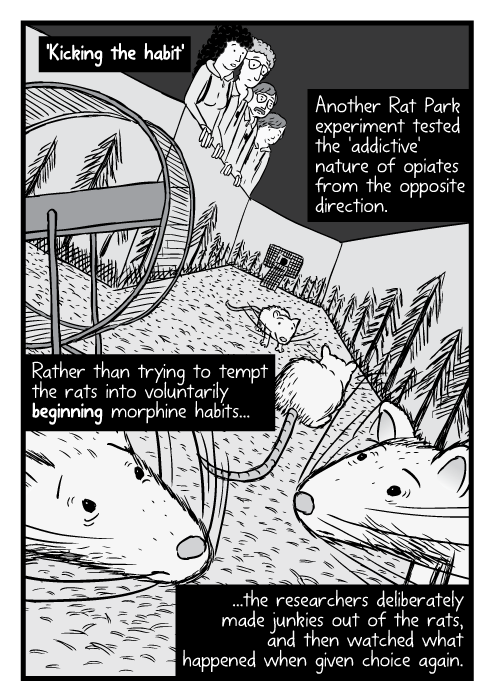 Stuart McMillen’s Rat Pack is the story of an experiment that questioned the physical model of opiate addiction. The researchers provided rats with access to a morphine solution but crucially, they looked at two different groups—one was isolated in cages, with no social interaction, while the other was placed in a single, large enclosure with plenty of toys and things to do. The results may surprise you—and if you want to know more, here’s an article with a fuller explanation and links to resources. At The Nib, Andrea Tsurumi explains, with examples and a nice analogy, Why Trumpcare Is Bad News for Freelancers. 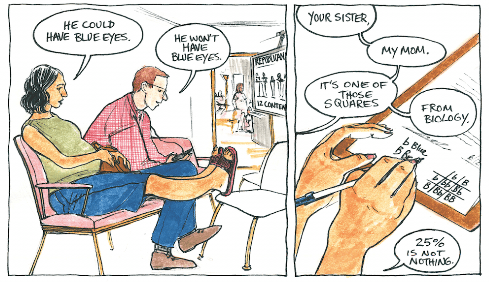 Not quite a comic but well worth a look: Tom Neely posts some pages, with the text removed, from a project that sadly fell apart due to creative differences. 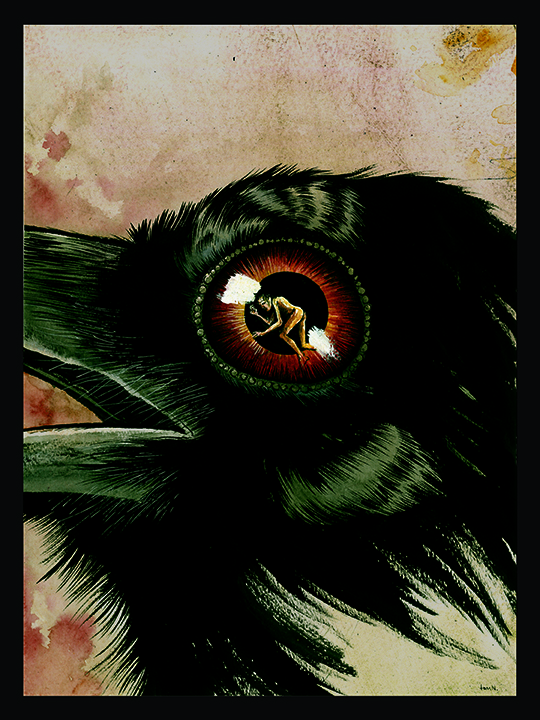 The art is still compelling on its own, though.